What is browser fingerprinting and how does it work? When a site you visit uses browser fingerprinting, it can learn enough information about your browser to uniquely distinguish you from all the other visitors to that site. Browser fingerprinting can be used to track users just as cookies do, but using much more subtle and hard-to-control techniques. In a paper EFF released in 2010, we found that majority of users’ browsers were uniquely identifiable given existing fingerprinting techniques. Those techniques have only gotten more complex and obscure in the intervening years. When stitched together, these individual properties tell a unique story about your browser and the details of your browsing interactions. For instance, yours is likely the only browser on central European time with cookies enabled that has exactly your set of system fonts, screen resolution, plugins, and graphics card. By gathering that information together and storing it on its own servers, a site can track your browsing habits without the use of persistent identifiers stored on your computer, like cookies. Fingerprinting can also be used to recreate a tracking cookie for a user after the user has deleted it. Users that are aware of cookies can remove them within their browser settings, but fingerprinting subverts the built-in browser mechanisms that allow users to avoid being tracked. And this doesn’t just apply to the sites you visit directly. The pervasive inclusion of remote resources, like fonts, analytics scripts, or social media widgets on websites means that the third parties behind them can track your browsing habits across the web, rather than just on their own websites. Aside from the limited case of fraud detection (which needs transparency and opt-in consent for any further processing), browser fingerprinting offers no functionality to users. When the popular social media widget provider AddThis started using canvas fingerprinting in 2014, the negative reaction from their users was so overwhelming that they were forced to stop the practice. Some fingerprinting tricks are potentially detectable by end-users or their software: for instance, a site changing some text into multiple fonts extremely quickly is probably scanning to see which fonts a user has installed. Privacy Badger, a browser extension that we develop at EFF, detects canvas fingerprinting to determine when a site looks like a tracker. And a W3C guidance document draft for web specification authors advises them to develop their specs with fingerprinting detectability in mind. Unfortunately, however, new and more covert techniques to fingerprint users are being discovered all the time. You’ll struggle to find fingerprinting explicitly mentioned in the GDPR—but that’s because the EU has learned from earlier data protection laws and the current ePrivacy Directive to remain technologically neutral. Apart from non-binding recitals (like Recital 30, discussing cookies), the GDPR avoids calling out specific technologies or giving exhaustive lists and examples. Instead, it provides general rules that the drafters felt should be neutral, flexible, and keep up with technological development beyond fingerprinting and cookies. Below we explain how those general rules apply to tracking Internet users, no matter what technique is used. The cornerstone of the GDPR is its broad definition of personal data. Personal data is any information that might be linked to an identifiable individual. This definition not only covers all sorts of online identifiers (such as your computer’s MAC address, your networks’ IP address, or an advertising user ID in a cookie) but also less specific features — including the combination of browser characteristics that fingerprinting relies upon. The key condition is that a given element of information relates to an individual who can be directly or indirectly identified. It is also worth noting that under the GDPR “identification” does not require establishing a user’s identity. It is enough that an entity processing data can indirectly identify a user, based on pseudonymous data, in order to perform certain actions based on such identification (for instance, to present different ads to different users, based on their profiles). This is what EU authorities refer to as singling-out, linkability, or inference. Thus, when several information elements are combined (especially unique identifiers such as your set of system fonts) across websites (e.g. for the purposes of behavioral advertising), fingerprinting constitutes the processing of personal data and must comply with GDPR. 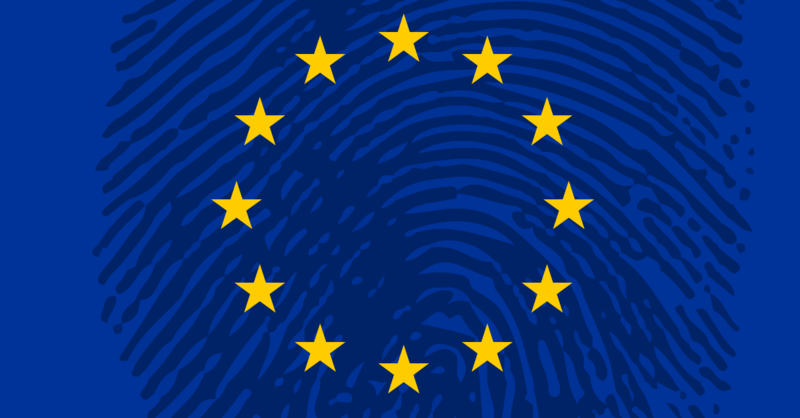 Can Fingerprinting Be Legal Under The GDPR? According to the GDPR, every entity processing personal data (including tracking user behavior online, matching ads with user profiles, or presenting targeted ads on their website) must be able to prove that they have a legitimate reason (by the definitions of the law) to do so. The GDPR gives six possible legal grounds that enable processing data, with two of them being most relevant in the tracking/advertising context: user consent and the “legitimate interest” of whoever is doing the tracking. How should this work in practice? User consent means an informed, unambiguous action (such as change of settings from “no” to “yes”). In order to be able to rely on this legal ground, companies that use fingerprinting would have to, in the first place, reveal the fingerprinting before it is executed and, then, wait for a user to give their freely-given informed consent. Since the very purpose of fingerprinting is to escape user’s control, it is hardly surprising that trackers refuse to apply this standard. It is more common for companies that use fingerprinting to claim their own, or whoever is paying them to fingerprint users, “legitimate interest” in doing so. Parties who wish to process device fingerprints which are generated through the gaining of access to, or the storing of, information on the user’s terminal device must first obtain the valid consent of the user (unless an exemption applies). While this opinion focused on device fingerprints, the logic still applies to browser fingerprints. Interpretations can vary according to national implementation and this has resulted in an inconsistent and ineffective application of the ePrivacy Directive, but key elements, such as the definition of consent, are controlled by the GDPR which will update its interpretation and operation. The EU aims to pass an updated ePrivacy Regulation in 2019, and current drafts target fingerprinting explicitly. Looking at how web fingerprinting techniques have been used so far, it is very difficult to imagine companies moving from deliberate obscurity to full transparency and open communication with users. Fingerprinting companies will have to do what their predecessors in the cookie world did before now: face greater detection and exposure by coming clean about their practices, or slink even further behind the curtain, and hope to dodge European law. When EFF first built Panopticlick in 2010, fingerprinting was largely a theoretical threat, in a world that was just beginning to wake up to the more obvious use of tracking cookies. Since then, we’ve seen more and more sites adopt the surreptitious methods we highlighted then, to disguise their behaviour from anti-tracking tools, or to avoid the increasing visibility and legal obligations of using tracking cookies within Europe. With the GDPR in place, operating below the radar of European authorities and escaping rules that apply to commercial fingerprinting will be very difficult and—potentially—very expensive. To avoid severe penalties fingerprinting companies should, at least, be more upfront about their practices. But that’s just in theory. In practice, we don’t expect the GDPR to make fingerprinting disappear any time soon, just as the ePrivacy Directive did not end the use of tracking cookies. The GDPR applies to any company as long as they process the personal data of individuals living within the European Economic Area for commercial purposes, or for any purpose when the behavior is within the EEA. However, many non-EU sites who track individuals in Europe using fingerprinting may decide to ignore European law in the belief that they can escape the consequences. European companies will inevitably claim a “legitimate interest” in tracking, and may be prepared to defend this argument. Consumers may be worn down by requests for consent, or ignore artfully crafted confessions by the tracking companies. The rationale behind fingerprinting, as it is used today, is to evade transparency and accountability and make tracking impossible to control. If this rationale holds, fingerprinters won’t be able to convince the EU’s courts and regulators that, indeed, it is their legitimate interest to do so. In fact, there’s nothing legitimate about this method of tracking: that’s what privacy laws like the GDPR recognize, and that’s what regulators will act upon. Before we see results of their actions, browser companies, standards organizations, privacy advocates, and technologists will still need to work together to minimize how much third-parties can identify about individual users just from their browsers. Article 29 Data Protection Working Party, Opinion 4/2007 on the concept of personal data; see also Article 29 Data Protection Working Party, Opinion 9/2014 on the application of Directive 2002/58/EC to device fingerprinting. It is possible to collect information on a browser’s fingerprint without allowing for indirect identification of a user, and therefore without implicating “personal data” under the GDPR, For example, because no further operations, such as tracking user behaviour across the web or collecting the data allowing one to link non-unique browser characteristics to other data about the user, take place. This would be unusual outside of rare cases like a fingerprinting research project. In any event, the ePrivacy Directive also applies to non-personal data. See Article 29 Data Protection Working Party, Opinion 9/2014 on the application of Directive 2002/58/EC to device fingerprinting; ePrivacy Directive Art 5(3). See Recital 47 EU GDPR, "The legitimate interests of a controller, including those of a controller to which the personal data may be disclosed, or of a third party, may provide a legal basis for processing, provided that the interests or the fundamental rights and freedoms of the data subject are not overriding, taking into consideration the reasonable expectations of data subjects based on their relationship with the controller."